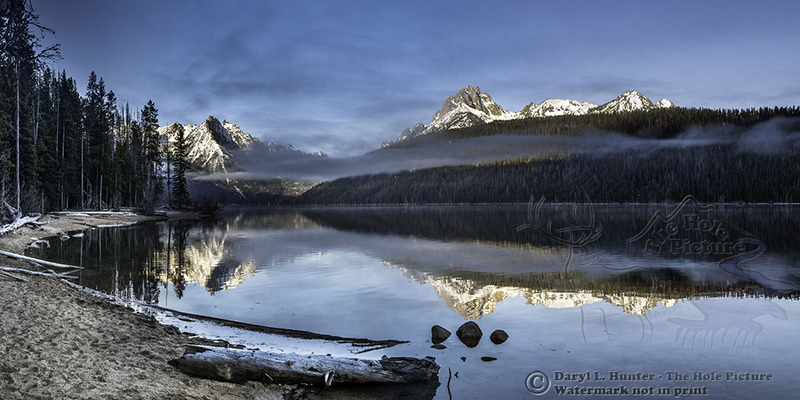 Redfish Lake Reflection • The tranquiltiy of earyl morning at Redfish Lake in the Sawtooth National Recreation area. The Sawtooth Range casts a nice reflection on this lake near Stanley Idaho. I love the hanging clouds of the dissipating morning mist. This is a 2x1 ration panorama.